The Strips began their rock n' roll career in Eau Claire, Wisconsin in 2013 where they came together due to their love of music and incredibly cold winters, which allowed them to spend hours fine tuning their sound. Starting out as a three piece band which included Trey Sharpe on rhythm guitar and vocals, Steven Greenfield on lead guitar, and John "The Panda" Nichols on the drums. In the summer of 2014, The Strips became a four piece with the addition of Billy Hettler on bass and keyboards. Taking inspiration from rock legends such as Led Zeppelin, Kings of Leon, The Strokes, The Pixies, and The Black Keys, The Strips performed classic "Basement Shows" for their friends and students of the University of Wisconsin - Eau Claire. The Strips released their first EP "Welcome to Our Basement" in the fall of 2014 where you can hear their unique sound. The summer of 2015 led to the great migration to Minneapolis, Minnesota where The Strips have continued to gather a following and now headline at notable venues throughout the Twin Cities area. 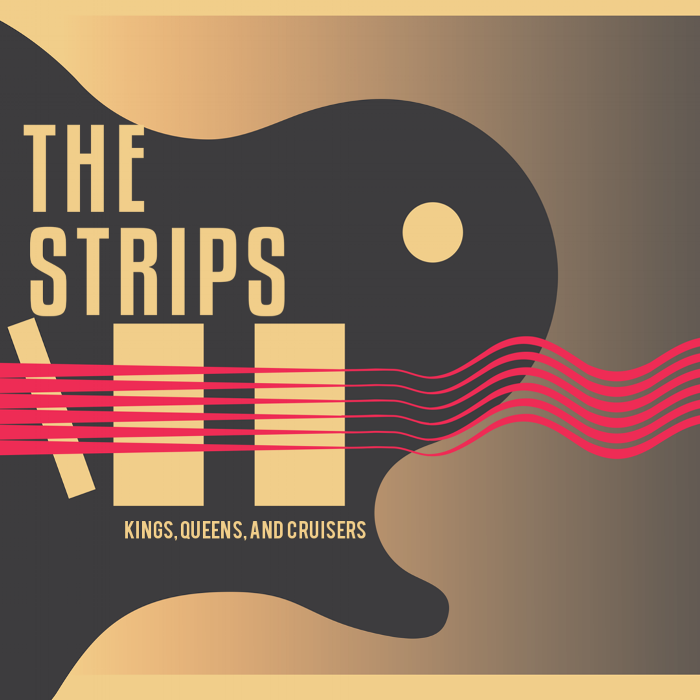 In May of 2016, The Strips recorded their second EP "Kings, Queens, and Cruisers" which demonstrated their refined sound and unique style. The song "Black Cats" is the most recent recording by The Strips, which was recorded with Jack Vondrachek at Tangerine Studios. The Strips continue to play high energy shows as they prepare to release their first album. All band inquiries can be directed to band.thestrips@gmail.com or mailed to the address 1523 Elliot Avenue South Minneapolis, MN 55404.